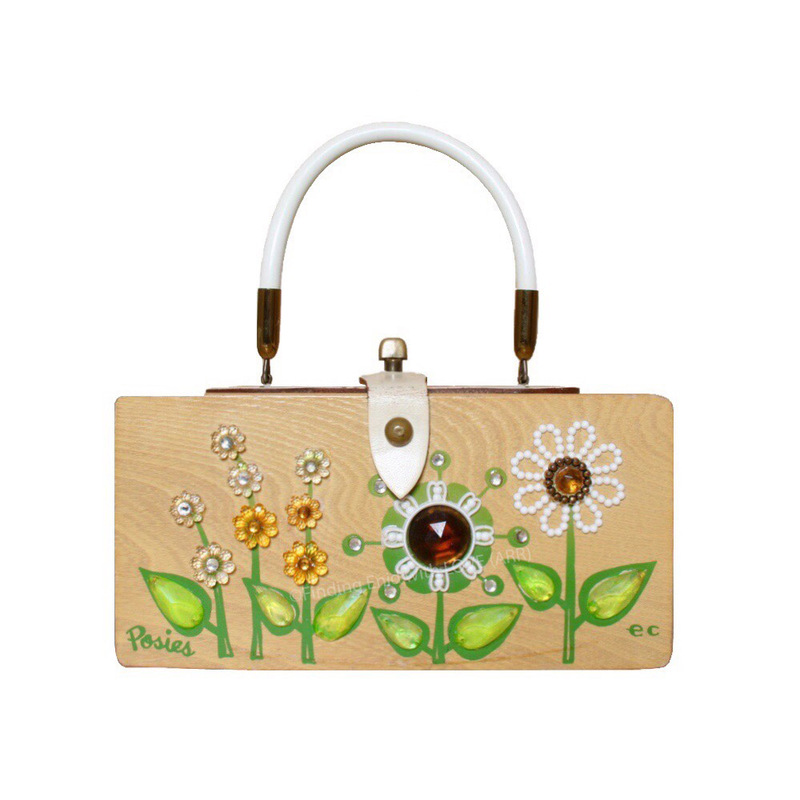 Box purse of light-toned natural wood featuring a spring-green serigraph of stylized flowers in a row. Decorated with transparent faux gemstones in crystal, amber and light green, plus white acrylic embellishments. "Posies" serigraph in hand-script printed style appears in lower left corner. Shows typical wear from use on interior; minor wear to wood; serigraph vivid; original jewels intact and in place. One of multiple variations on this title.